One of the primary aims of the SEDENTEXCT project was to develop evidence-based guidelines on use of CBCT in dentistry, including referral criteria, quality assurance guidelines and optimisation strategies. In 2009, we produced a “Provisional Guidelines” document as an interim step. In the subsequent two years, that publication influenced national guidelines within Europe. Since then, the project partners worked hard to develop and enhance the Provisional Guidelines into a document that we trust will have longevity and impact. The culmination of this effort was a set of definitive guidelines “Radiation Protection: Cone Beam CT for Dental and Maxillofacial Radiology. Evidence based guidelines”. 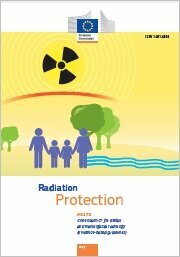 In May 2012, this document was formally published in the European Commission’s “Radiation Protection” series. It can be downloaded from here, or from the www.ec.europa.eu website here, and is freely available and accessible to all stakeholders. Our guideline development process used systematic review and established methodology, involving stakeholder input. Our principal stakeholder, the European Academy of Dental and Maxillofacial Radiology, made an important contribution: the development of the “Basic Principles” for the use of dental CBCT (Section 3 of the new document). We are pleased to acknowledge the support of the Seventh Framework Programme of the European Atomic Energy Community (Euratom) for nuclear research and training activities (2007 to 2011) http://cordis.europa.eu/fp7/euratom/. We also thank the Working Party on Medical Exposures of the Article 31 Group of Experts http://ec.europa.eu/energy/nuclear/radiation_protection/article_31_en.htm for their constructive comments and for supporting the final publication.